Ross Robinson reports he is actively organizing concerts at the soon to be open Hugh’s Room Live (note the new name). There is also a new phone number and information about the club’s organizing committee and two fundraising campaigns on the website, www.hughsroom.com. The Paul DesLauriers Band plays April 26, followed by former Johnny Winter accomplice Paul Nelson May 5 and Indigenous Wikwemikong soul shouter Crystal Shawanda on May 6. Ross also has David Rotundo at the club June 3. Lance Anderson has several shows in the room including his Mad Dogs and Englishmen revue May 26. Later in the calendar watch for Texas gospel folk blues singer Ruthie Foster. TBS president Derek Andrews is booking the room for a new committee headed up by lawyer Brian Iler and a group working under the handle Hugh’s Room for the Performing Arts. Many of the club’s staff are returning including general manager Anthony Ferrando and sound engineer Colin Puffer. Derek advises we should watch for future shows from David Bromberg, John Hammond, Jack deKeyzer and Carlos del Junco in the coming months. Jane Harbury is doing publicity and the relaunch is set for the week of April 20. This year’s Festival will have a larger main stage with improved sound and stage lighting and the entire main stage audience will be licensed with a $5 per person daily admission fee to the Royal LePage Main Stage and Opera House performances. The Festival will kick-off on Thursday June 1st with a feature performance of the Ben Racine Band at the Best Western PLUS Inn & Suites. The ever-popular Blues Cruise on Broadway returns on Friday June 2nd starting at 5PM and will feature 10 bands performing including Paul James and Danny Marks with 300 classic cars all taking place on Broadway! Following the Blues Cruise, the Royal LePage Main Stage on Friday night will feature Larry Kurtz and the Lawbreakers taking the stage at 8pm followed by the award-winning Dawn Tyler Watson Band from Montreal. On Saturday, performances on the Royal LePage Main Stage will start at noon beginning with one of Orangeville’s most popular bands, Soul Collective followed by Harp Attack! featuring Lee Oskar, David Rotundo, Michael Pickett and Larry Kurtz. Spencer MacKenzie will take the stage followed by Turbo Street Funk who will lead the Dods & McNair Memorial Jazz March from the Main Stage with everyone invited to participate in the march along Broadway and then returning to the Stage area. Braithwaite & Whiteley, the Juno-nominated Paul Reddick Band, and from Chicago, festival headliners Lil’ Ed & The Blues Imperials. Also, taking place on Saturday afternoon will be the Blues & Bikes and Free Music Workshops including Harmonica with Lee Oskar, Rhythm Section with Vince Maccarone and Ukelele with Manitoba Hal in the Orangeville Public Library. The Royal LePage Main Stage performers on Sunday will include Chris Antonik, the Gabriel Palatchi Trio, Coco Love Alcorn with a special Festival closing performance of The Last Waltz – A Musical Celebration of The Band – Live. The Opera House Series features jazz and acoustic blues performances on Saturday and Sunday afternoon with Stan Chang & Eric Bruck, Carol McCartney, Juno-nominated Sean Pinchin and Los Variants during the day on Saturday followed by Manitoba Hal, Michael Pickett and from New York, Guy Davis performing on Sunday afternoon. The lobby will feature an exhibit of Blues & Jazz themed artwork and photography. 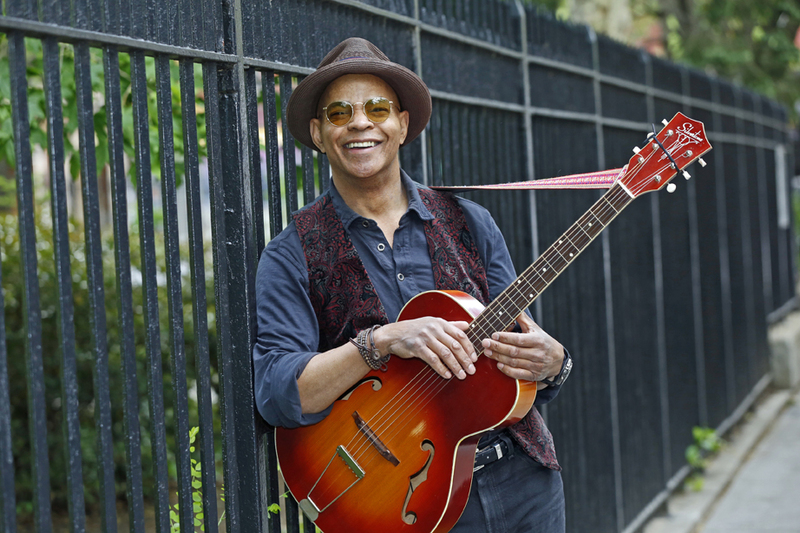 Perennial favourite Guy Davis will bring his acoustic blues to The Orangeville Blues and Jazz Festival on Sunday afternoon, June 4 in the Orangeville Opera House. The TD Tent Local Stars stage presents local artists are many other Bands and Performers taking part in the Festival as part of the “popup” performances taking place on Broadway which will be closed on Friday night and all day Saturday to create a unique festival vibe with a pedestrian friendly setting. 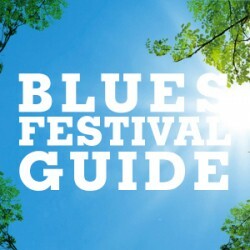 For more information about this year’s Festival, please visit www.orangevillebluesandjazz.ca. Sugar Brown has just finished recording a new album with special guest Rockin’ Johnny Burgin and they’ve been playing some gigs together while Johnny was in town. Downchild has a batch of new tunes and will be going into the studio at the end of April. Downchild’s Gary Kendall will also be in the studio in April recording the debut CD for the Mighty Duck Blues Band with several guest vocalists and he will also be recording a CD in June with someone who has been absent from the blues scene for a while but surely still has a lot of fans in Toronto, the wonderful Judy Brown. 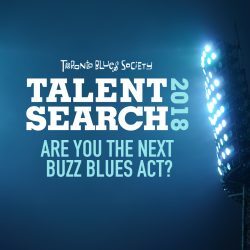 If your band is planning a new recording please send some info to editor@torontobluessociety.com and we’ll get the word out. Legendary Mississippi Bluesman Bobby Rush, who just won the 2017 Grammy Award for Best Traditional Blues Album, will be coming to play The Station Music Hall in Sarnia, Ontario August 12th, 2017. Robb Sharp & Lit’l Chicago, one of Sarnia’s most popular blues bands will be opening. Rush has also won 10 Blues Music Awards (and been nominated 44 times!) over his long career. He sits in the Blues and Rhythm & Blues Halls of Fame. Known as “The Dean Of The Blues” and “King Of The Chittlin’ Circuit” Bobby Rush has played with many of the greats in his life including Elmore James, Muddy Waters, Howlin’ Wolf, Jimmy Reed, B.B. King, Bobby Blue Bland and Etta James to name a few – all of whom are now departed. He’s one of the last living Blues legends still performing. Bobby’s music is a unique blend of Blues, Soul, R&B, Funk and even a little Rap. His LIVE shows are legendary – it’s hard to believe that he’s 83 years old when you hear him sing and see him move around on stage! Bobby will be backed by his full 8 piece band, including two hot female dancers, for this show. www.thestationmusichall. The show is produced by James Doran – Choose The Blues Productions. 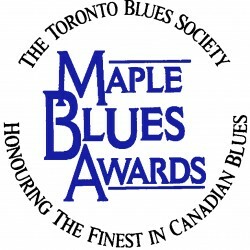 Daniel Cross’s film I Am The Blues won two Canadian Screen Awards last month (these film awards were formerly known as the Genies). It won for Best Feature Length Documentary and Best Cinematography in a Feature Length Documentary. This is wonderful recognition of an important film about the blues. The film was also recently signed to a distribution deal in the U.S., where it is going into theatrical release now — another real victory for this film. Victoria’s music community is heartbroken at the loss of musician John Fisher. 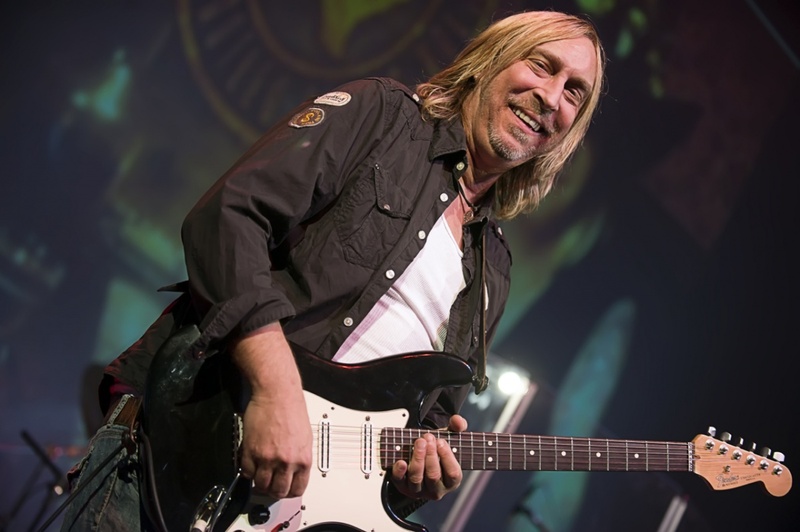 Well known by his stage name “Johnny Shuffles,” John is widely regarded as a father of the local blues scene. Busker Dave Harris, who performs as a one-man band at The Inner Harbour describes John’s contributions to Victoria’s blues scene as “incalculable”. Doug Cox, producer and artistic director of Vancouver Island MusicFest suggests filling the huge hole John leaves in the Victoria blues scene with memories of how John supported his fellow musicians, along with the great sound he made. He called John “an inspiration about how a musician should act and treat others. He had the rare quality of being an ego-less artist. He was part of the fabric of Victoria.” John’s last gig was in January 2017, when Elmore’s Bar & Grill played at Hermann’s. After a sudden illness, John passed away on Tuesday, March 14.